Tata cars have offers up to Rs. 54,424 across some of its models in June 2012. Good news is, the offer extends to some diesel models as well. 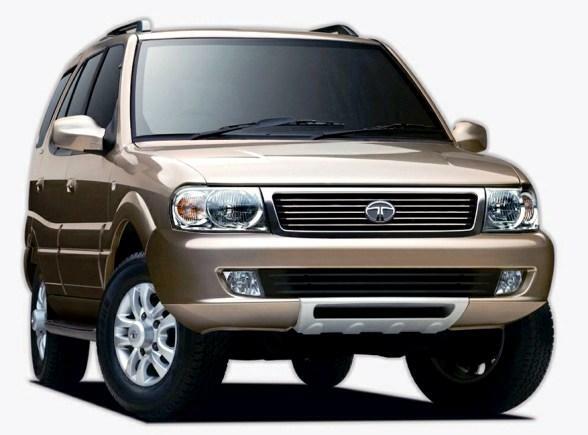 Tata Safari and Indica eV2 gets discount ranging between Rs. 40,000 – Rs. 54,000. The Indica eV2 gets a cash discount of Rs. 25,000 and exchange bonus of Rs. 15,000. This makes the eV2 better value for money than the Chevrolet Beat diesel. For instance, The Indica eV2 diesel LE variant is Rs. 28,000 cheaper than the Beat diesel base variant. Similarly, the Indica eV2 diesel LX variant is Rs. 41,000 cheaper than the Beat 1.0 LS TCDI variant. Coming to the Safari, the offer comes via free insurance ranging between Rs. 36,690 and Rs. 54,024 and exchange bonus of Rs. 4,000. The offer makes the Safari, better VFM than its arch rival, the Mahindra Scorpio. For instance, the Safari LX is Rs. 36,000 cheaper than the Scorpio LX. However, despite the offer, the higher variants of Safari such as VX 4×2 and VX 4×4 are still more expensive than the Scorpio VLX 4×2 and Scorpio VLX 4×4 respectively. The Nano and Indigo eCS get a total offer of Rs. 25,000 coming through cash discount of Rs. 10,000 and exchange bonus of Rs. 15,000. The Nano base variant now costs less than Rs. 1.20 lakh while the top-end LX variant costs about Rs. 1.75 lakh. On the other hand, the Tata Indigo eCS, which is already VFM car when compared with the Maruti Dzire, is now a sweet deal. For instance, the Indigo eCS LS variant is Rs. 1.62 lakh cheaper than the Dzire LDI. Similarly, the higher variants such as LX and VX of Indigo eCS are significantly cheaper than the Dzire VDI and ZDI. The offers are provided by Delhi dealer ‘Him Motors’ and all prices mentioned are ex-showroom, Delhi. * Offers are subject to change as per company/dealer.